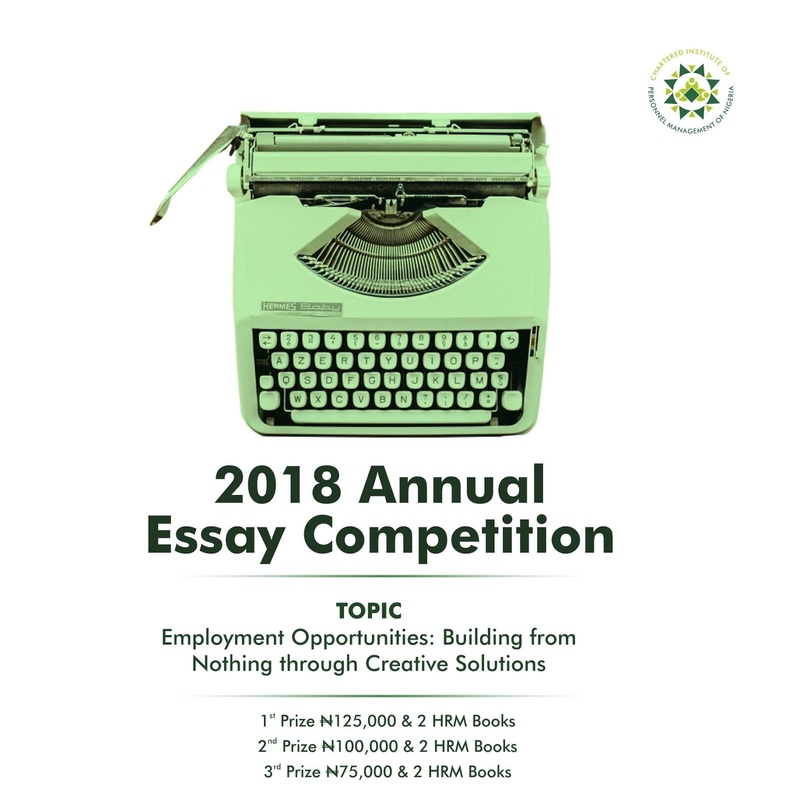 The Chartered Institute of Personnel Management of Nigeria (CIPM) Annual Essay Competition Application Procedures for Undergraduates in Nigerian Universities, Polytechnics and College of Education Students for 2018/2019 Academic Session. Topic: Employment Opportunities – Building from Nothing through Creative Solutions. 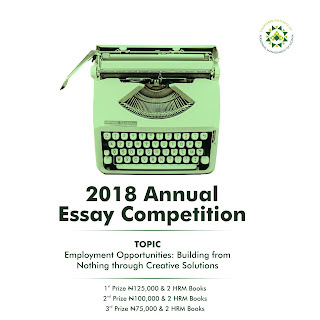 Latest Update: Deadline for the 2018 Annual Essay Competition for undergraduates has been extended to Friday, 19th October 2018. Deadline: Friday, 19th October 2018.